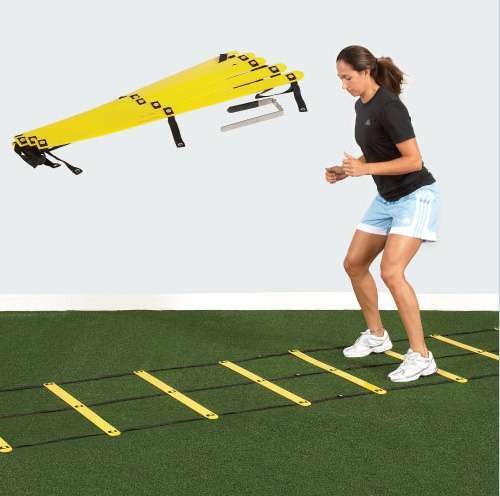 Double Agility Ladder is 5 yards long and 32″ wide with sturdy flat plastic rungs. 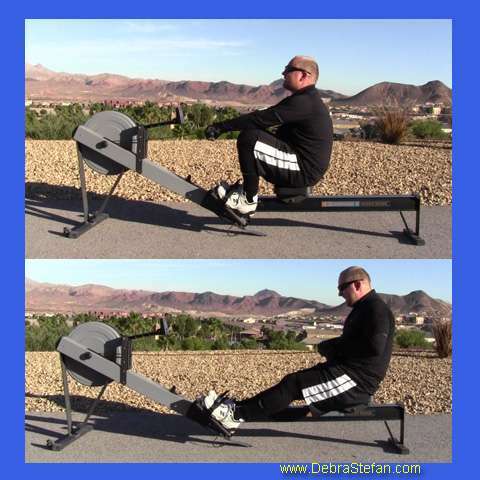 Folds up and snaps securely for easy storage. 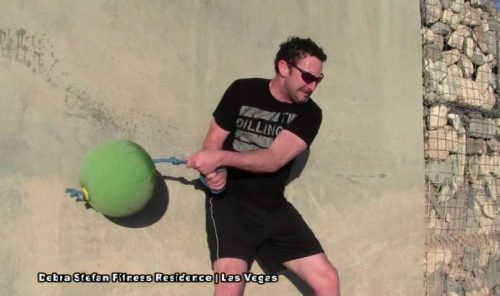 Easy carry handle for no hassle storage and transport. 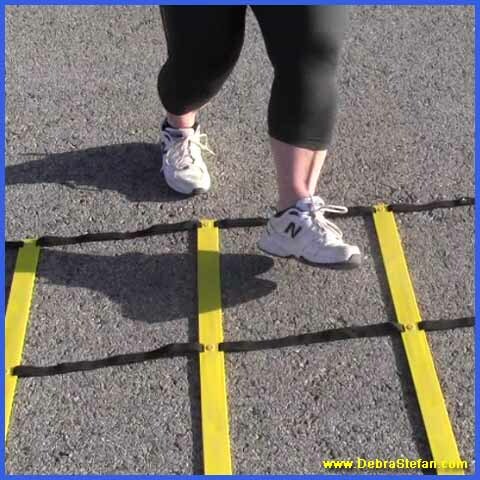 Fixed rungs save set-up time and withstand abuse from cleats. 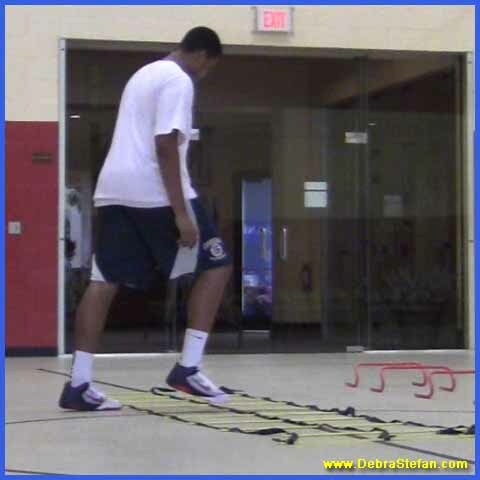 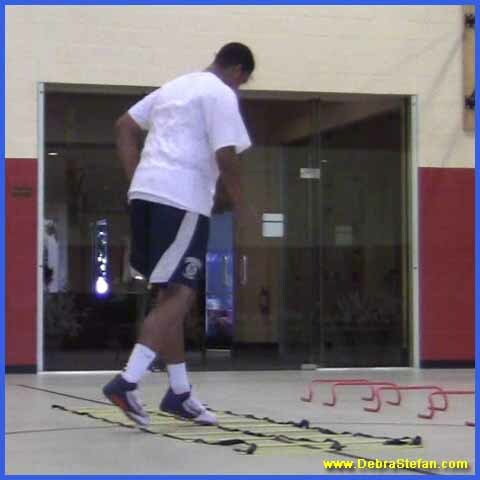 While most agility ladders have a single row of squares for stepping, the double row on the Double Agility Ladder enables more unique drill variations. 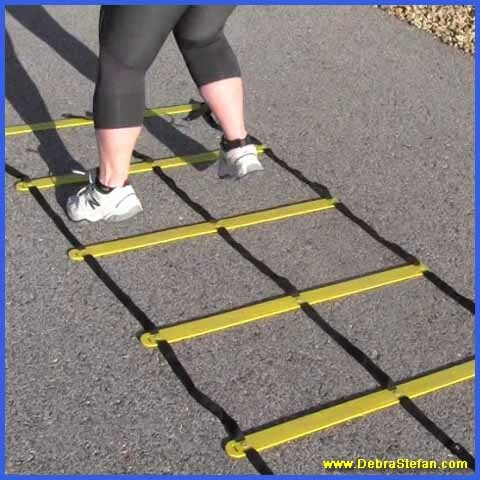 Whether used for senior fall prevention or elite sport-specific training, this is the ladder for all training needs. 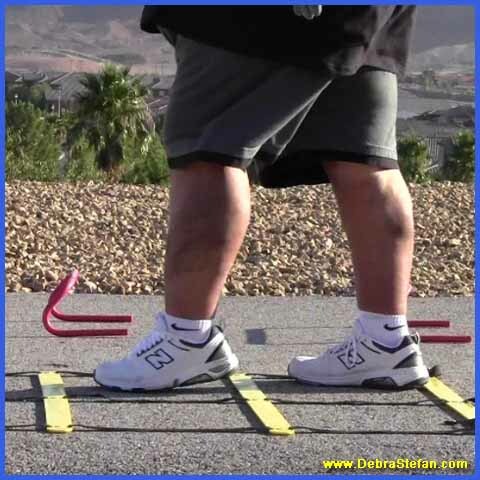 Seniors, the deconditioned or those in rehabilitation will find it great for balance capabilities and lower extremity functions. Senior man and woman training on the Double Agility ladder for balance, coordination and weight loss. 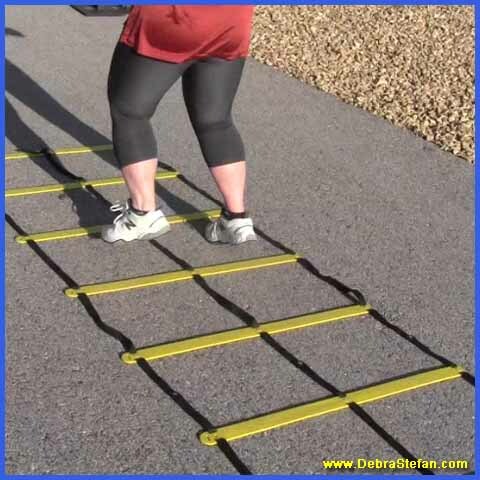 Double Agility ladder with double row of rungs for foot speed, balance and conditioning. 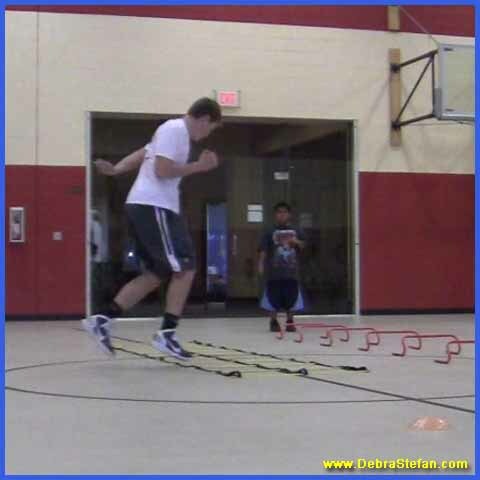 Double Agility Ladder is a ladder system with flat plastic rungs designed to improve agility, balance and conditioning. 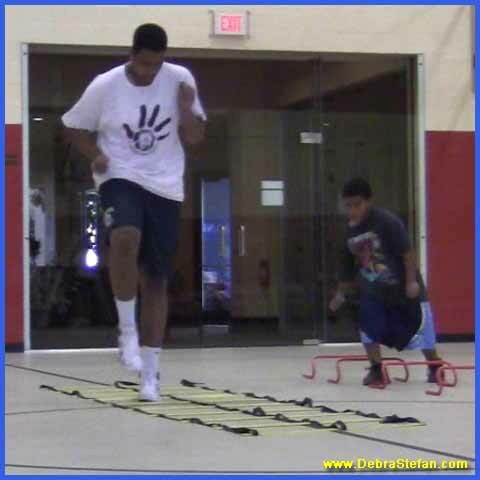 Train for at any age for any function whether it is dynamic balance or elite sport-specific foot speed. 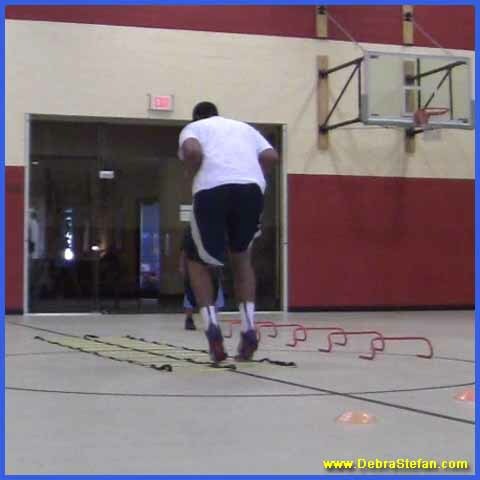 People love the variety of stepping, running and hopping skills that can be done on the double agility ladder. 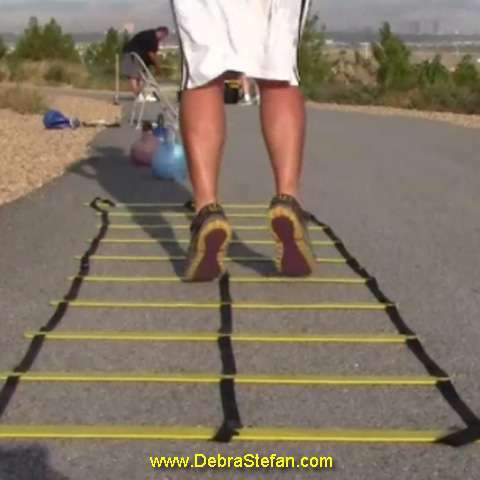 Most people liken it to “hop scotch” when they first see it, but then they realize it offers far more plus the fun. 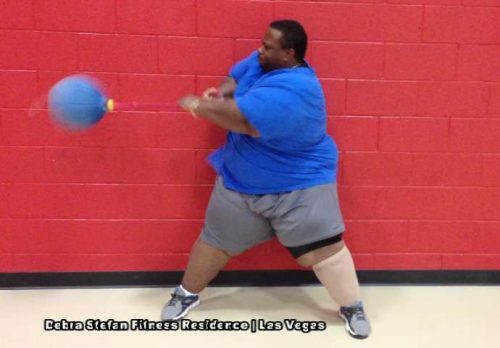 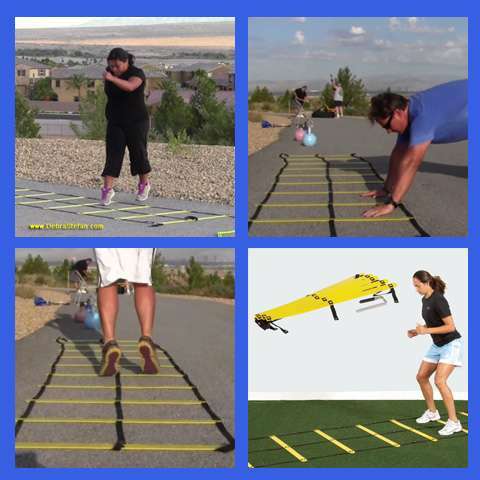 Fun, safe and great for weight loss as well as sports conditioning. 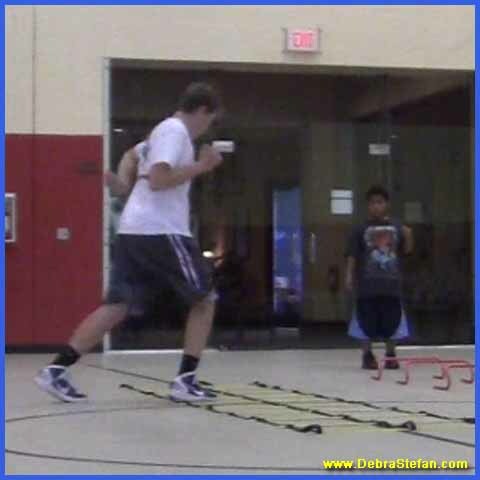 Watch the included Agility Ladder Exercise Video. 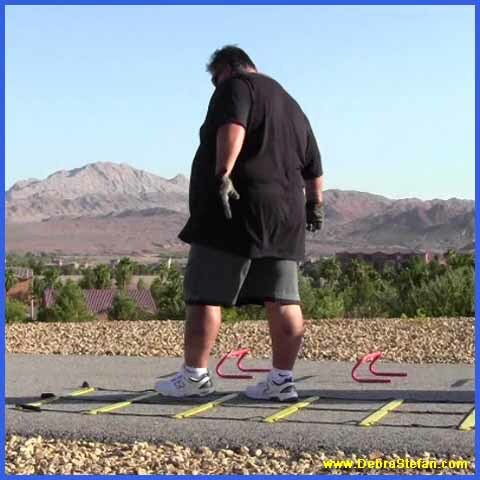 500 Lb man training on the Double Agility ladder. 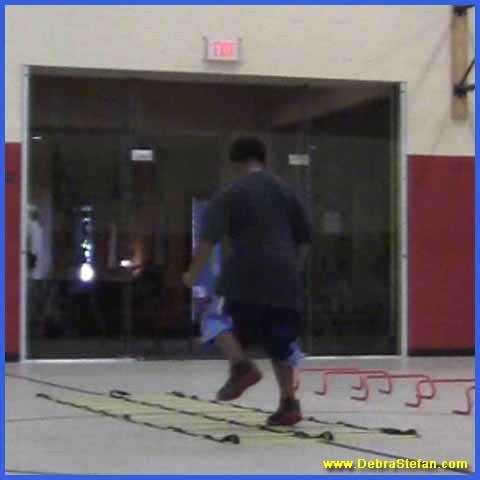 Pictured is a 500 Lb client at my weight loss camp training on the Double Agility Ladder for foot speed, dynamic balance and coordination. 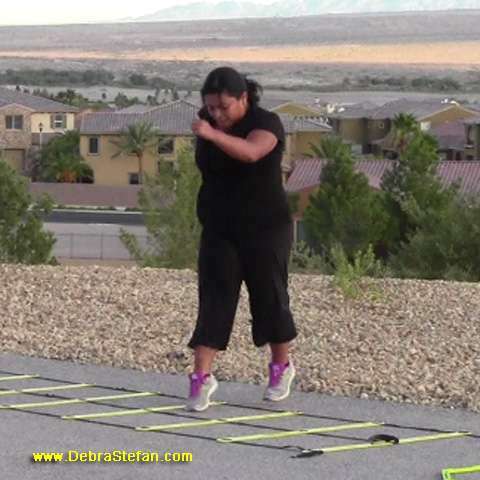 This is the agility ladder for all training needs and the squares are plenty large for the largest of adults. 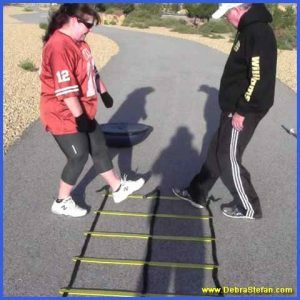 If you need a fun and motivating, inexpensive fitness product then get one of these for the entire family to enjoy together. 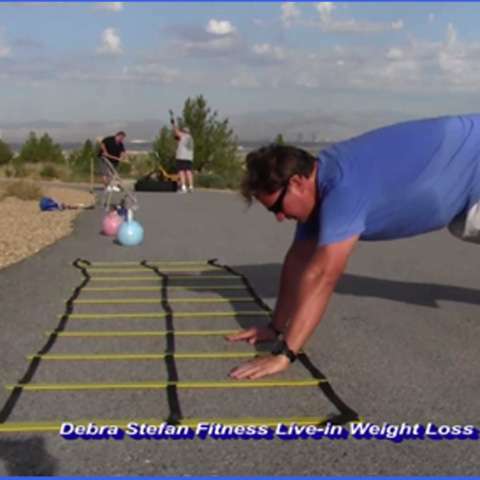 From kids to senior citizens, everyone benefits.